The web works because you can link pages on your website to pages on other people’s websites by using a simple anchor element. When you link to someone else’s site, though, you send users away from your own site. Keep the linking page open in the current window. Open the linked page in a new window or tab. 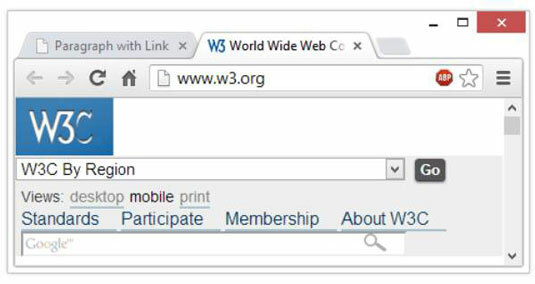 The result of using the target=”_blank” attribute is shown in the figure, which depicts a new tab open for the W3C site.